Tattoos are an expression of self. It shows how and what a person’s thoughts and beliefs are. Roses are the most loved flowers. 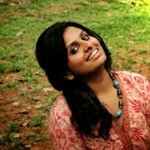 You get to see them in variations of characters – colors, types, petals, blooms. To name a few – reds, pinks, blues, whites, yellows, corals and more. The hybrid ones include – blues, purples and blacks too. 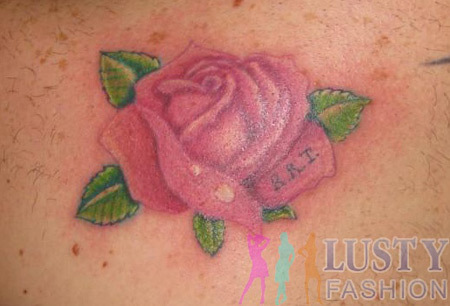 Roses symbolize love, friendship, warmth and various other emotions and relationships. No celebration is complete without the presence of roses. 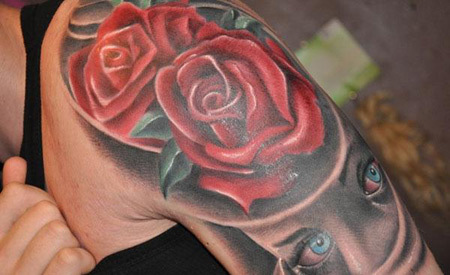 Here I am listing the best of the tattoos based on the concept of roses. Choose the one that you love! 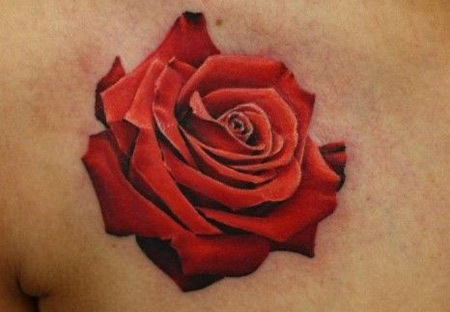 Let’s get the list on the rose tattoo designs started! 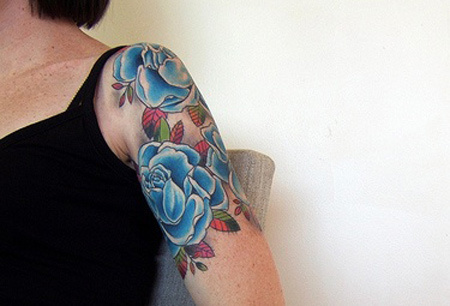 This is probably the prettiest tattoo that focuses on blue roses – I love how beautifully the colors have been mixed to get the right combination of the required gradient. The three roses make it complete. Here is a lovely orange colored rose with some yellow and green. The dotting adds to the detailing. 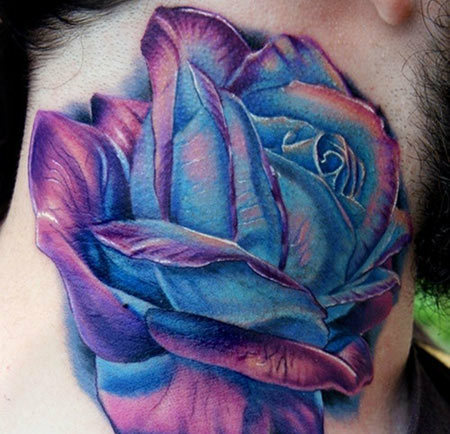 This tattoo has a fully bloomed rose with shades of purple, blue and lilac in it. The black outline and little smudging work around add to the beauty of it. It’s so well done; you can see the petals crumpling too. 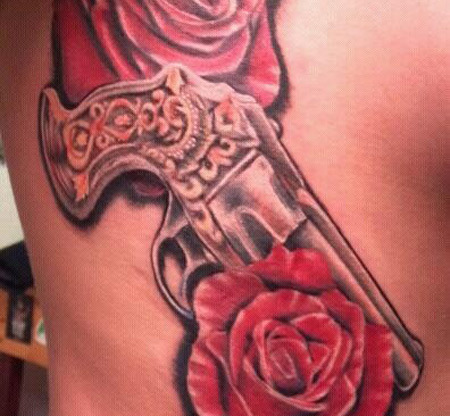 Is this tattoo about Guns ‘n Roses? Do you think so too? 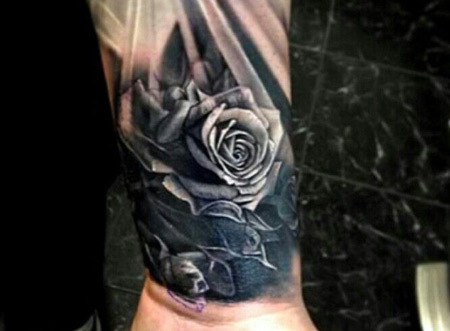 This is a very interesting tattoo – love and hate co exist and there is only a very thin line separating them. The gradients of red and black are lovely if you ask me. 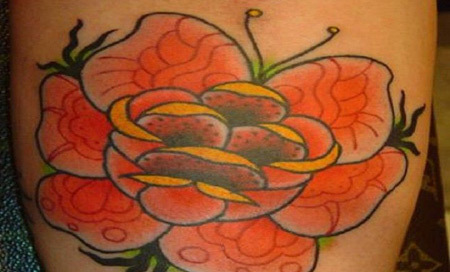 Beads, flower and religion co-exist in this tattoo. A very wise tattoo which shows that all religions profess love – you find nobody asking people to hate. A very mature one in my opinion. This seems like a couple of roses in pain! It’s the detailing that seems gloomy, or the black-and shades of black combination. This tattoo looks like a rebel to me. What do you think? 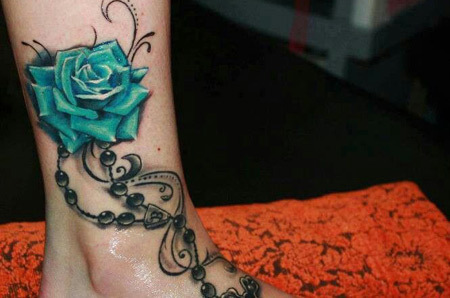 Roses with a pair of dice, interesting now isn’t it? 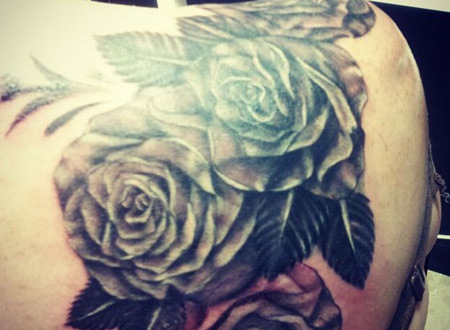 This tattoo depicts a lot of emotions and the bloomed rose seems full. The dice and cards represent the game called life. Another sad tattoo to the list, this one seems ready to wither and fall away. Or might I say, it is still big and awesome when it’s about to be gone too. 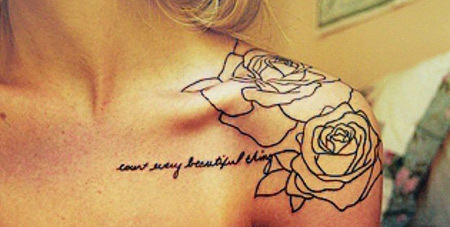 The wordings around and the bloomed roses is a lovely sight of a tattoo. I definitely love it as the simple outline is so beautiful with no colors. 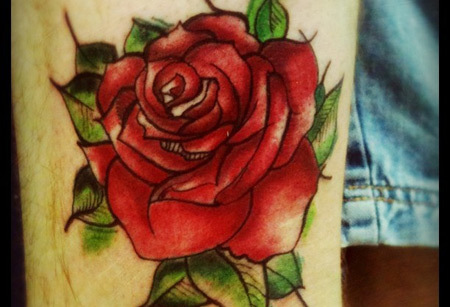 A red rose with wonderful detailing, this one has green and pale orange-ish detailing making it very interesting. The color and non-color co-exist now don’t they? 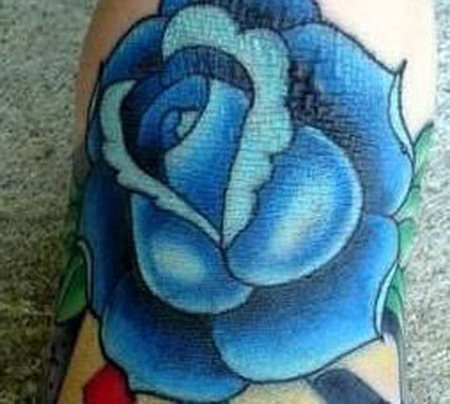 We have a very emo tattoo here, agree? The red roses and the skull are so against each other and yet they co-exist here. This is one of my favorite tattoos here; the pink is so subtle, beautiful and fun. The pattern reminds me of vintage screens and interior designing. The red and orange gradient appears so wonderful here. Its super simple and neatly done, there is not much detailing but still, this is sophisticated and pretty. Black rose, they tell us? I love how the group of tattoos makes such a pretty yet eerie picture. 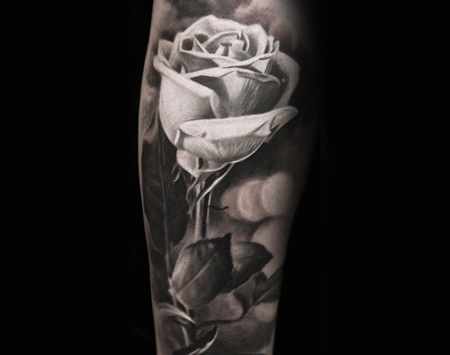 This is one of my favorite black rose tattoo designs again. 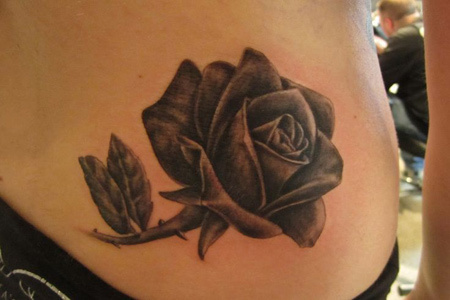 The black is just such a beauty in itself and this tattoo shows it so well. These are my favorites, what are yours? Shoot a comment right now! 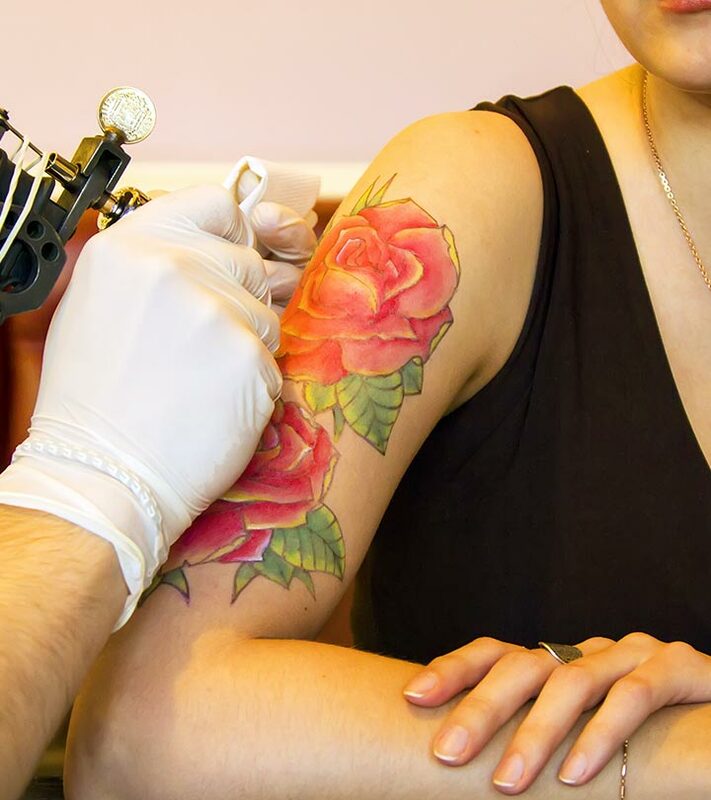 The best way to fix on the perfect idea for you is through ‘Tattoos For All’. Let a community influence you for a better design with thousands of tattoos for women.